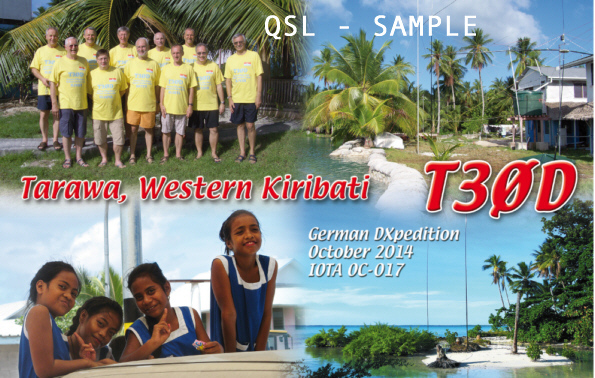 DJ9HX, DK3CG, DM2AYO, DL2HWA, DL4SVA, DL2RNS, DL1RTL, DF7TT, DL7JOM, DL2AWG, DL6JGN, DL7VEE will be active from Tarawa Atoll (IOTA OC-017) 2 - 15 October 2014 as T30D. They will be active on 160 - 6m CW, SSB, RTTY. QSL via DL4SVA, OQRS, LOTW. Kiribati is a very popular nation situated in Pacific Ocean and it is known for the fact that 32 atolls are included in it. 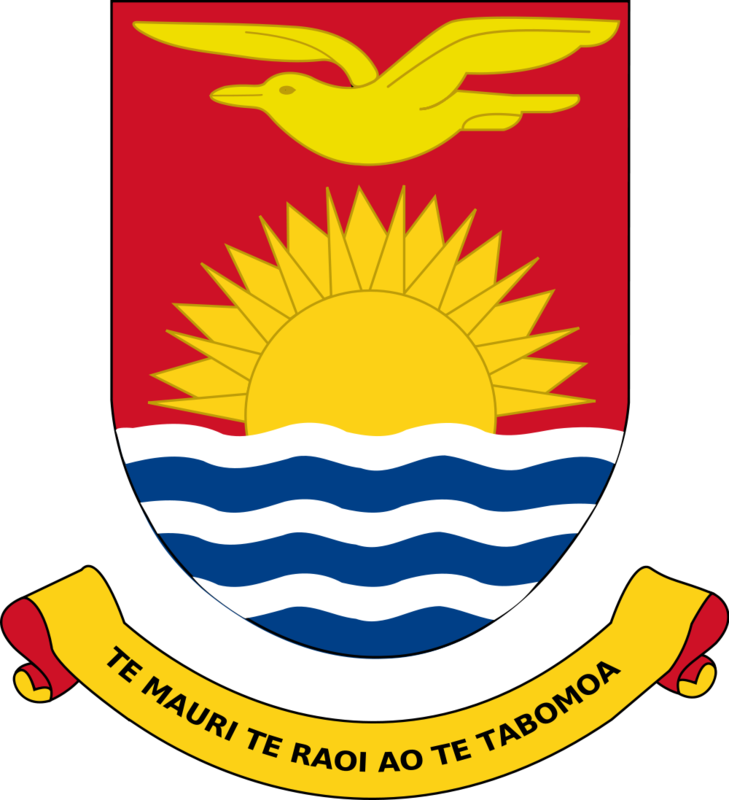 The Tarawa Atoll is one of the atolls included in the Republic of Kiribati it has the inclusion of the Northern Tarawa) which shows a lot of similarity with some islands that are included in Gilbert group) as well as Southern Tarawa that is popular because of the fact that it’s the capital of the country and acts as home to 50,000 people. An important point to highlight here is that Tarawa Atoll is most noted because of Battle of Tarawa which took place during World War II. The lagoon of this atoll is large and is spread over five hundred kilo meters square and a wider reef. It is widely known that natural resources like fish are found here in abundance, but problem is that these are being used on a very large scale because of larger as well as increasing population so things can take some serious turns. Drought occurs frequently, but generally the level of rain is decent for supporting local growths such as pandanus, papaya, breadfruit etc. When we move towards Northern Tarawa, then important point to highlight here is that it is composed of cord of islets which are differentiated by the presence of wider channels. The atoll is also known for its natural beauty and charm. This is a popular place included in the Tarawa Atoll; South Tarawa is most noted because of the fact that it’s the capital and major hub of the country. Not only this, estimates depict that half of the population of Kiribati lives here. It acts as home to a good number of government offices also some noted educational institutions, commercial organizations as well as courts are present here as well. The data which was collected in the year 1978 shows that the population of capital is 17,921 and majority of residents reside in Betio, Bikenibeu as well as Bairki. Good thing is that area under discussion is completely developed now and acts as one of the most important and prominent part of the country. In addition to this South Tarawa is a prominent center which reflects culture and values of the nation so it can be regarded as a true representative of the ideology of the country. Coming towards climatic conditions it is important to highlight here that weather stays warm and humidity prevails throughout the year and mean rainfall is comparatively higher. The resources related with water are limited considering the population growth. In accordance with the legends associated with Kiribati, Tarawa was still there even when Nareau had not sliced sky as well as ocean. People came to this isle many thousands years ago and migrants from Kiribati from ancient times are also associated with Tarawa. Interesting point to be mentioned here is that people belonging to the country are very good at making vessels that can be used for crossing the ocean and use conventional techniques of navigation for moving from one place to another. Thomas Gilbert who is a noted personality was the first man from Europe who provided descriptions of Tarawa. In the year 1911 during the month of January Tarawa Post Office was opened and it acted as an important institution for local people. Before moving ahead it is important that we should provide a brief introduction to Betio because its name deserves a special mention whenever the Battle of Tarawa is discussed. This is basically an isle as well as one of the towns of Kiribati. 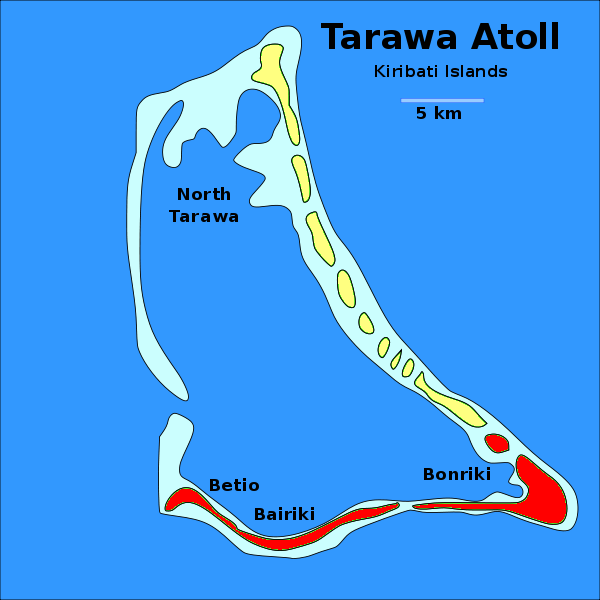 The highlighted port of the Tarawa atoll is situated here. Battle of Tarawa is a very popular battle of history that took place during the World War II. The battle started from 20th November and ended on 23rd November in the year 1943 and within Gilbert Islands the battle took place. When we talk about Gilbert Atolls thread of 16 islands along with coral isles comes into consideration that are situated in the Pacific Ocean and Tarawa is located here as well. The history of these islands suggests that Micronesians lived here for a very long time. Coming back towards the Battle of Tarawa estimates depict that 6400 Americans, Japanese as well as Koreans lost their lives during the battle, which was mostly confined to Betio Island. Main point to highlight here is that with this Battle America launched its first attack on central Pacific part. In addition to this, United States faced tough opposition from Japan as far as amphibious landings are concerned. Earlier landings didn’t posed tougher resistances, but case was different in the Battle of Tarawa because defenders of Japan were properly supplied and their preparations were also adequate and most importantly they fought with great bravery and courage. U.S troops faced heavy casualties as well as heavy losses. The battle is still remembered because it produced long lasting effects and has a highly significant value. Many books have been written for describing the events of battle. A book named The Far Reaches written by Homer Hickam is well noted for describing Battle of Tarawa. Let’s put a look the losses suffered by both parties during the war. 4,690 fighters from Japan were killed during the battle. One hundred and twenty nine laborers were captured during the battle. The USS Liscome Bay was destroyed and now lies in the depths of ocean. The incident took place on 23rd November. In addition to this 687 men belonging to the United States navy were killed. In short, Tarawa Atoll is a prominent island that is not only known for its high strategic value, but it has witnessed one of the most prominent battles of World War II. Surely this place deserves to be respected. Good conditions on 10 meters SSB on east cost at 0000 UTC. If you could try to work some CW at this time. Thank you.